While I am far from being a fan of petty holidays such as Father’s Day, Mother’s Day, Sweetest’s Day or even Columbus Day, I must admit that my I had fun with my 13 year old son today. By the grace of fluke luck Father’s Day fell on my weekend with him this year, so we made a weekend event out of being bums, eating out, ordering in, video games and going to the movies. Of special note was his choice to “take me” to Moe’s Southwest Grill before the movie today. I love Moe’s and though some may argue consider it vastly superior to Chipotle or even Qdoba. To each their own, but Moe’s hits the spot for me. Now Tex/Mex is not typically found on a baconcentric blog, but Moe’s has bacon. Yes, that’s right, bacon. And this drove me to the pictured concoction. I like to call it the Chicken Philly Stack w/Bacon, but you can call it what you want. 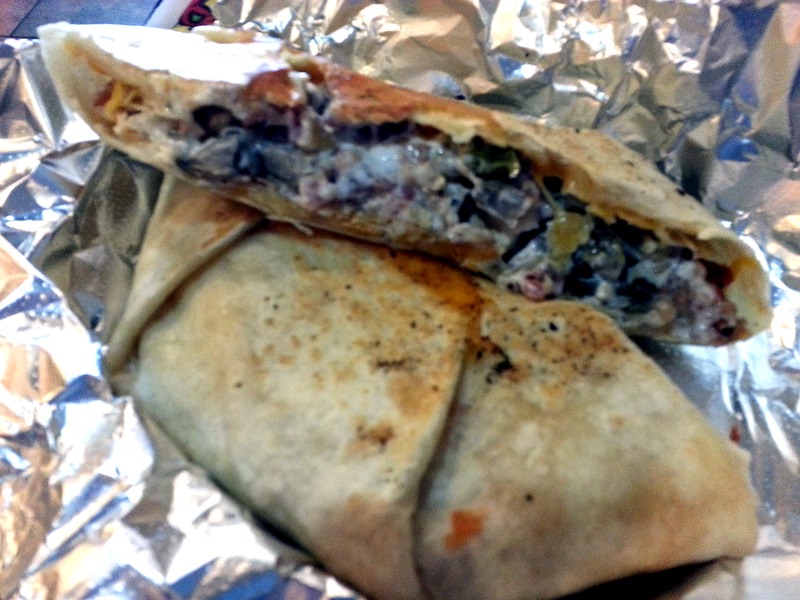 It contains chicken, seasoned rice, sauteed green peppers, mushrooms and onions, cheese, sour cream, queso, cheese and bacon. When you ask for bacon they point out that it costs extra. When I point out that bacon is worth it they proceed to dump a fist full of bacony goodness into my Stack. The Stack is a Moe’s specialty and I like to think I was part of having this limited time treat added to the regular menu. 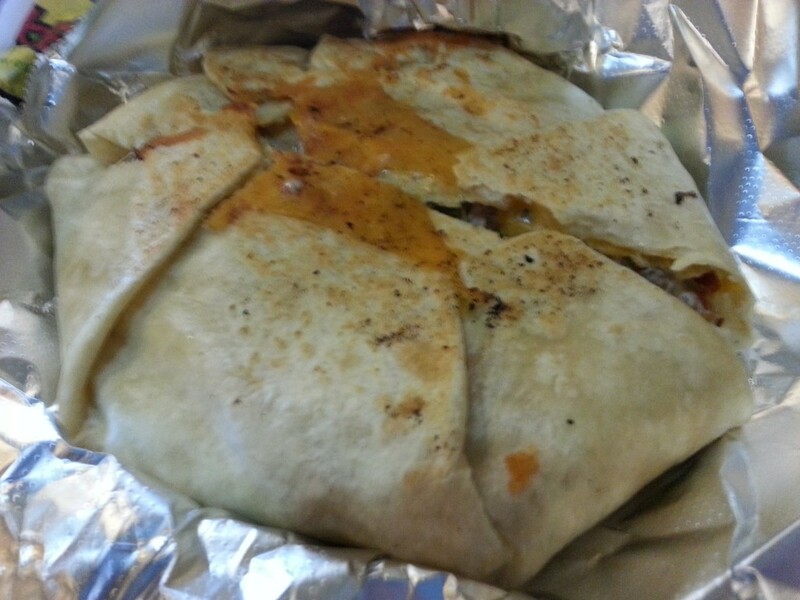 You had best rely on Moe’s to describe though as my definition of “Quesedila double taco burrito stuffed with goodness” has much to be desired.